We maintain the highest level of quality for our community’s drinking water. If you have any questions or concerns, please contact our office right away. Each year we publish a water quality report to assert our compliance with federal clean water standards. Water main breaks, hydrant problems and other issues should be reported immediately to the utilities office at 574-773-4623 during business hours or the emergency services dispatch center at 574-773-8400 on nights or weekends. Our staff will make contact with you to assess the problem and determine the best course of action. 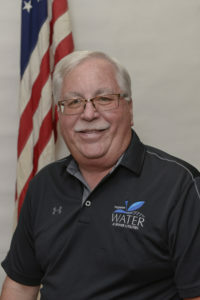 Customers of Nappanee’s water and sewer utilities are encouraged to pay their bills at City Hall. A drop slot for after-hour payments is available next to the entrance on the east side of the building. You may also pay with your card over the phone.